The new international IEC 61331.3-2014 specifies testing of lead aprons at five radiation levels taking scatter radiation and fluorescence into account unlike the outdated AU/NZS 4543.3-2000. The IEC (International Electrotechnical Commission, based in Switzerland) is a global organisation that defines and publishes international standards for all electrical, electronic and related, such as medical technologies. 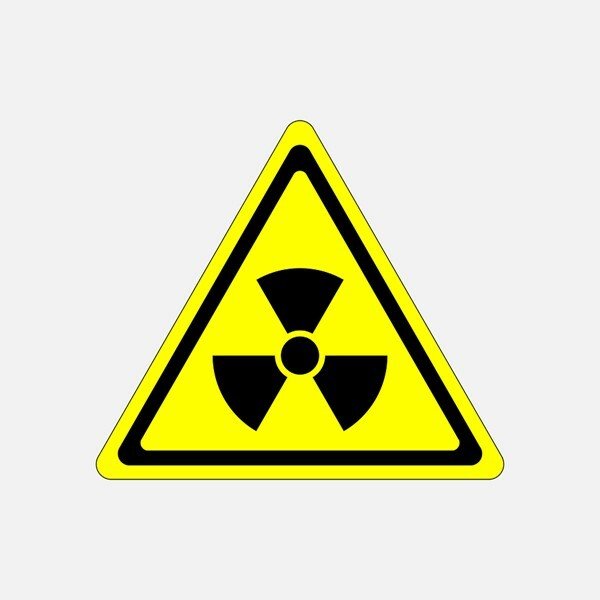 The IEC 61331 Part 1,2 and 3 specifies minimum international radiation safety standards for protective devices against diagnostic medical X-radiation. 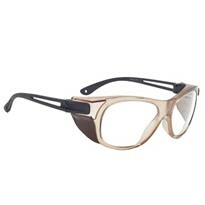 Part 3 determines minimum requirements for Radiation Protection Clothing (lead aprons), Eyewear (leaded glasses) and further X-ray accessories such as thyroid collars, shin guards etc. It also determines which test method has to be used to ensure the radiation protection material complies with the international standard and is safe to use for medical staff working in environments with fluoroscopic X-ray equipment. See ARPANSA Fact Sheet online for further information on AU/NZS 4543.3-2000. 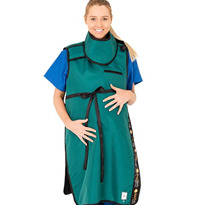 Every x-ray apron in Australia has to comply with the AU/NZS 4543.3-2000. However, the AU/NZS 4543.3-2000 standard is quite old now, although Europe has changed to a wider radiation protection spectrum to increase radiation safety for medical staff and patients. The AU/NZS 4543.3-2000 standard only specifies testing of radiation protection clothing at one x-ray tube voltage, e.g. 90 or 100 kVp, using the narrow beam testing method. This testing method does not take into account the fluorescence and secondary scatter radiation that occurs when working in x-ray operating rooms. The result can be increased levels of absorbed doses received by skin and organs that can deliver a real, lasting and career-limited impact on medical professionals. Attenuating materials, particularly lead-free of lower atomic number, actually emit secondary radiation (or fluorescence) when exposed to radiation. In reality, this fluorescence and scatter radiation reaches the operator and is of biologically damaging energies (1), however is not well detected with the most commonly used testing method - narrow beam geometry. The use of more appropriate testing methods, such as broad beam or inverse broad beam, not yet required in Australia and New Zealand - would expose the poor protection of most lead-free/ lead-reduced aprons, despite their labels (2,3). On the contrary, the new international standard IEC 61331.3-2014 specifies testing of radiation protection apparel at minimum four x-ray tube voltages. Due to a different testing procedure - inverse broad beam method - the fluorescence and secondary scatter radiation is detected which increases radiation safety for medical staff and patients significantly. 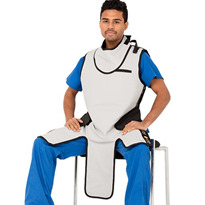 Radiation protective aprons have to be tested and certified “by the inverse broad beam geometry method” for the specified range of radiation qualities, 50kV, 70 kV, 90kV, and 110 kV”. 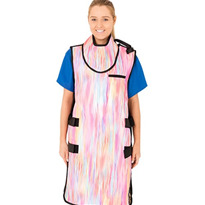 Additionally, when aprons are worn for radiological examinations where there is exposure to higher energy radiation, greater than 125 kV, for example in “in-room CT assist” procedures, protective aprons should also meet the lead equivalent values for radiation quality 150kV. What are the differences between narrow and inverse broad beam testing method? Both methods are different testing measurements for shielding properties of x-ray protection materials, such as lead, lead-free, lead-reduced. 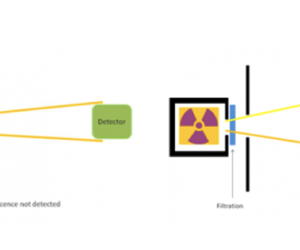 In simplified words, the test arrangement of the narrow beam method is set up to measure only the primary x-rays photons whereas the inverse broad beam method is set up to test both primary and secondary x-ray photons (fluorescence) which is therefore a more thorough and safer method. The attenuation measurements (also known as lead equivalence, e.g. 0.50mm Pb) in the narrow beam method do not consider the scattered radiation and fluorescence due to the arrangements of the test. Therefore, the protective effect of traditional lead-free or materials will be incorrectly estimated when compared to pure lead. Traditional lead-free and lead-reduced protection materials were required to be tested at only one energy level (e.g. 90kVp) and have been manufactured in a way that they pass this requirement, specified in the outdated IEC standard 61331-3:1998. However, testing the same material with the inverse broad beam method reveals that traditional lead-free/ lead-reduced aprons largely do not meet the requirements of IEC 61331-3: 2014 at higher (e.g. 110kVp) or lower tube voltages (e.g. 50 or 70 kVp) (4). This is a potential risk for radiation safety of medical staff as in reality the body is exposed to a variety of tube voltages and both, primary and secondary radiation, depending on the x-ray application. 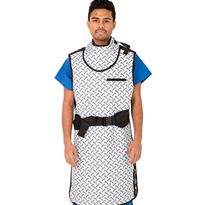 The challenge between radiation safety and weight - Are lead-free/ lead-reduced aprons safe to use? Only if the radiation protection materials lead-free and lead-reduced have been designed and manufactured according to the stricter new IEC 61331.3-2014 requirements which ensure that lead-free and lead-composites provide the same or similar protection levels to Lead. The safest protection material for Radiation Protection Clothing remains to be pure lead. However, due to the significant weight increase of x-ray aprons using pure lead, occupational health and safety risks (e.g. 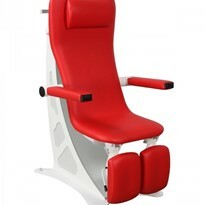 back pain, spinal injuries) to medical staff have been on the rise. Consequently, lead-free or lead composite materials were developed to provide lower weight materials that purportedly would still pass the standards at that time (e.g. IEC 61331.1-1998). But over the last years, some physicists were beginning to report problems with lead-free or lead-composite materials (7). For instance, at the Christchurch Hospital a number of lead aprons were routinely tested. It was identified that the lead-free Green-Lite apron, labelled as 0.50mm Pb at energy level 85kVp, only provided a lead equivalence of 0.30 and 0.39mm lead equivalence when being tested (8). 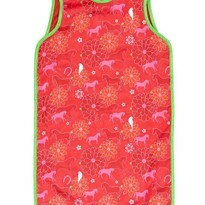 Therefore, most of the lead-free aprons should be used with care, particularly for examinations with high dose, e.g. in Catheter Labs and CT rooms. As a result of the new IEC 61331.3-2014, only a few apron manufacturers and protection material manufacturers in Europe have developed a new architecture of radiation protection materials that consider the different characteristics of lead-reduced/ lead-free protection materials and includes protection against radiation scatter as well as fluorescence. 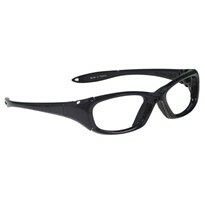 It is called “Bilayer Protection Material” which was specifically developed to conform to these newer safety standards. The radiation protection material is still made of light lead or lead -free, but the composition takes advantage of the physics associated with using individual layers of specific materials to provide maximum attenuation by eliminating the effects of fluorescence and scatter radiation with the low atomic weight metals used in lead-free or lead-reduced composites. The Bilayer is currently the lightest, most flexible and independently certified radiation protection material available on the global market. It provides greater protection against absorbed dose when compared to standard Lead products, and greater protection against absorbed dose when compared to traditional lead-free or low-lead composites. The Bilayer is tested within a full range of kV (50kV-150kV) and certified to conform with ASTM F2547-06, and IEC 61331-3:2014 and DIN 6857-2. The IEC and DIN standards are designed specifically to address the issues in testing traditional lead-free and low-lead composites. 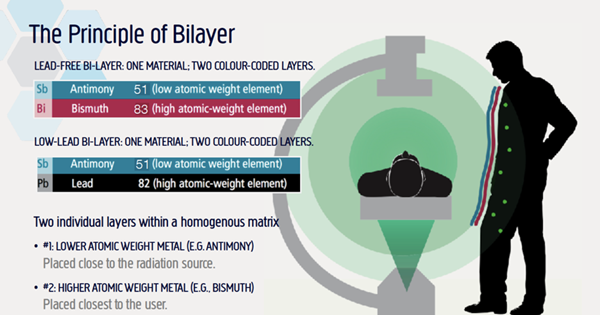 Furthermore, the Bilayer also has been independently tested by the worldwide calibration authority for x-ray and nuclear radiation “National Physics Laboratory” (NPL). 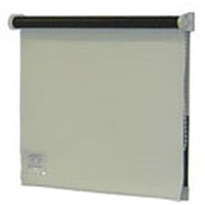 The Bilayer sets a new standard in radiation protection and is available in both light-lead and lead-free. Under the new international standard IEC 61331.3-2014, traditional lead-free and lead-composite materials available today cannot provide the equivalent protection to lead over a full range of x-ray tube voltages (kVp). Traditional materials will not meet the standard unless the weight will be significantly increased. And if the weight is increased, it fails to address fluorescence or absorbed dose. 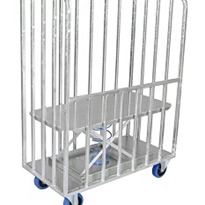 Only the newly developed bilayer conforms with all new global standards and improves radiation safety for medical staff significantly. The new international standard IEC 61331.3-2014 is currently only enforced in Europe since January 2017. It would seem to be a matter of time before other developed countries would follow suit. 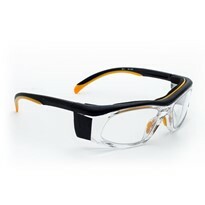 Or adapt it to increase radiation safety for the benefit for their staff in Australia and New Zealand. (1) Schmid E, Panzer W, Schlattl H, Eder H. Emission of fluorescent x-radiation from non-lead based shielding materials of protective clothing: a radiobiological problem? J Radiol Prot 2012 Sept;32(3):129-139. doi: 10.1088/0952-4746/32/3/N129. (2) Eder H, Panzer W, Schofer H. Is the lead-equivalent suited for rating protection properties of lead-free radiation protective clothing? Rofo 2005 Mar;177(3):399-404. (3) Christodoulou EG, Goodsitt MM, Larson SC, Darner KL, Satti J, Chan HP. Evaluation of the transmitted exposure through lead equivalent aprons used in a radiology department, including the contribution from backscatter. Med Phys 2003 Jun;30(6):1033-8. (7) Eder H, Panzer W, Schofer H. Is the lead-equivalent suited for rating protection properties of lead-free radiation protective clothing? Rofo 2005 Mar;177(3):399-404. (8) Muir, S & McLeod, R & Dove, Richard. (2005). 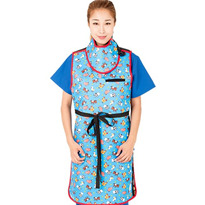 Light-weight lead aprons - Light on weight, protection or labelling accuracy?. Australasian physical & engineering sciences in medicine / supported by the Australasian College of Physical Scientists in Medicine and the Australasian Association of Physical Sciences in Medicine. 28. 128-30.